Go to Today in Jazz History and find an anniversary that you could use with your students. Create a lesson or activity on one of the jazz legends whose birthday falls in April: Duke Ellington, Bessie Smith, Billie Holiday, Ella Fitzgerald, Johnny Dodds, Lionel Hampton, Charles Mingus, Gerry Mulligan, Shorty Rogers, Mongo Santamaria, Tito Puente, Freddie Hubbard, Randy Weston, or Herbie Hancock. Partner with the local museum, public library, college, public radio or TV station, arts and humanities councils, or performing arts center to create a community-wide celebration. 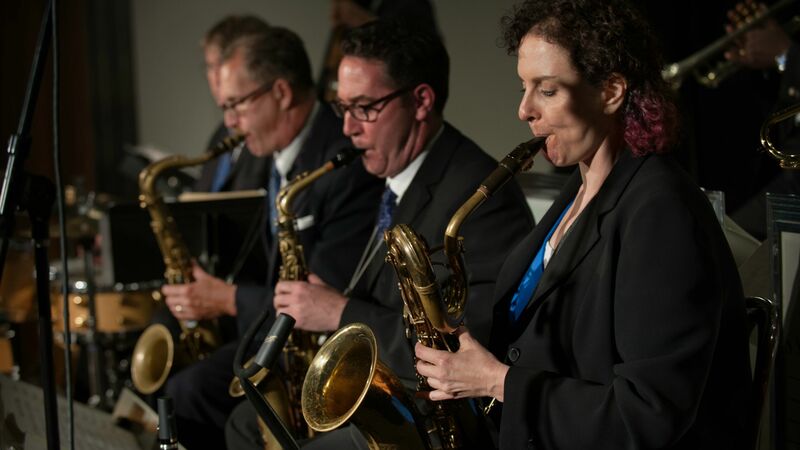 Organize a special concert series during Jazz Appreciation Month. Create a program on the jazz legends whose birthdays fall in April: Duke Ellington, Bessie Smith, Billie Holiday, Ella Fitzgerald, Johnny Dodds, Lionel Hampton, Charles Mingus, Gerry Mulligan, Shorty Rogers, Mongo Santamaria, Tito Puente, Freddie Hubbard, Randy Weston, or Herbie Hancock.